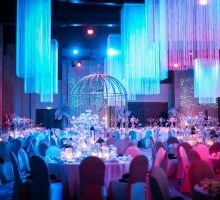 Over the years, BCME has featured a number of real weddings where the couple have opted to have a destination wedding in the UAE. It’s not hard to see why some couples have made this decision. Afterall, in the winter months, perfect weather is (almost) guaranteed, and the UAE is a central location for couples who are both from different countries. 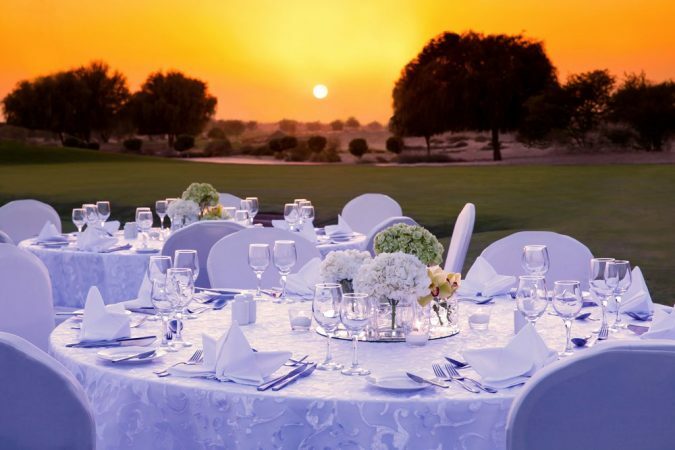 With an abundance of choice when it comes to venues, in addition to the fact that guests can also enjoy a holiday, more and more people who live outside of the Emirates are opting to have their nuptials here. Planning a destination wedding can also be a stressful experience, so our expert panel member Mennat Al Hammami, who is also the founder of Cloud 9 Weddings & Events, is here to help readers who are thinking about having a destination wedding in the UAE. We hope that this helps you to navigate some of the obstacles that you may face. Enjoy! 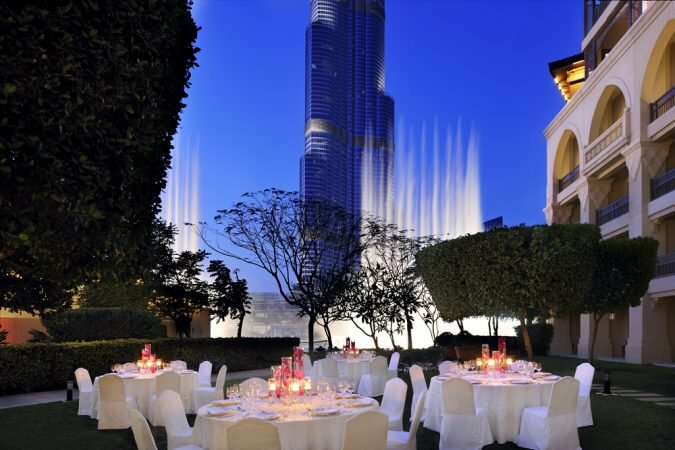 Wedding season is here and we couldn’t be more excited to get our hands on the latest trends and explore the newest venues Dubai and the other Emirates have to offer. Dubai is definitely becoming a more attractive destination for couples to tie the knot, and who can blame them! The island beachfront resorts, outdoor venues, the desert and the lush ballrooms that five-star hotels have to offer. Not to mention the tourist attractions that multiply every year! Today’s feature offers couples a summarised guide on how to successfully plan a UAE wedding from abroad in Dubai. My first piece of advice is to choose your wedding date wisely. The UAE’s weather can be brutal during the summer months, from the period of late May to the end of October. It is not wise to underestimate the level of heat and humidity during this period. Therefore, while venue rates do significantly become reduced, it is important to weigh attractive prices against the comfort of you and your guests. Guests travelling in during the summer time will not be able to enjoy any outdoor activities, and you, the couple, will be limited to indoor venues among other things. Once you’ve chosen your date, find a wedding venue that has all of the resources you need, or covers most of what you’re looking for from a venue. Are your deciding factors accommodation, and built-in activities? Perhaps selecting an all-inclusive resort as your venue can help take the stress off as most large resorts have kids clubs, restaurants, shows and nightclubs. Find the time to hunt for this venue, planning your visit when you make the booking and then at least once more before your actual date. You should ideally book your venue at least nine months prior to the wedding. If being there in person is impossible, then you need to hire a professional wedding planner or source a wedding directory such as Bride Club ME that has all of the information and insight when it comes to venues. Hiring a professional will not only save time but also the time and cost of making the calls to these places. Plus, it might even save you a couple of trips! Most of the resorts will have a wedding coordinator who will be with you every step of the way but won’t necessarily offer advice on every vendor you interview or help you make the important decisions. 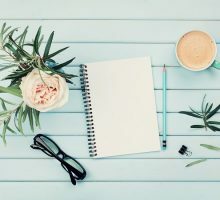 You may even want to consider hiring an on-the-day coordinator instead of a full-fledged planner. In this case, the coordinator will only ensure implementation on the day of what you have agreed upon with your vendors, rather than easing the actual planning process. This may be more important to some couples who do not wish to bother their family members and close friends with wedding duties on the day. Depending on your lead-time, you should typically see your venue three months prior to the wedding, and last, ten days prior to the wedding. On your final meeting, carry out a walk or run through with your coordinator and wedding party who are present. If you do plan on scheduling a rehearsal this would be the time to schedule it in. Once the venue is set, send out your save-the-dates or invitations; try to do this at least six months before your wedding. Send a pre-departure letter, with packing tips to your guests as well. Planning on having a pre-wedding event in an all-white theme? Definitely something you’d want to remind your guests about or offer advice on where to shop when in town if that is what they would like to do. In consideration of your guests, if you’re having your wedding at a lavish hotel, try to find alternative accommodation spots that are more budget friendly. Most hotels will provide group rates if booked well in advance, so remember to always ask. If you are planning the wedding yourself and don’t have room in your budget for a planner, make sure to search for vendors through a reliable source such as Bride Club ME. Do set up meetings with potential vendors when you are in town for your site visit. 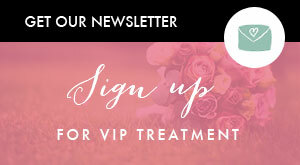 A good tip would be to ask for vendor referrals from the venue’s events team who are assisting you as well. Always ask for a portfolio of previous weddings in a similar style to what you would want your own wedding to look like. Another important tip would be to manage your budget expectations wisely and to familiarise yourselves with the local wedding market. In the UAE, the most costly element of your wedding will be the flowers. If you’re anticipating having large Hydrangeas that will last you until the wee hours, then you must be prepared to offer decent compensation! The next big thing that would cost is audiovisuals and furniture hire. Most couples try and use the available lighting and sound system at their hotel, however, these do not provide the right amount of support and are usually centrally controlled from a back room which isn’t feasible for a wedding that depends hugely on sound and light! Hiring out a vendor with their own monitors and controls is key. Finally, focus on creating a weekend that will be memorable for all those who are able to attend. Think of the special locations in Dubai that will enrich the Middle Eastern experience for your guests and try to plan your events around them. If you don’t intend on having any events leading up to the big day, or even afterwards, create a ‘must-see’ or ‘things to do when in the UAE’ list for your guests. Remember, when planning a destination wedding over the course of a year, communication at the earliest planning stage can be demanding. Corresponding with potential planners and/or venues at least twice a week is perfectly normal, as you’re still deciding on the biggest decision. During the second stage, production is underway, so two emails or phone calls a month should suffice. Two months prior, all of the finishing touches are being made, and communication will natural pick up again especially during the last two weeks. Looking for more expert tips and advice? Click here.